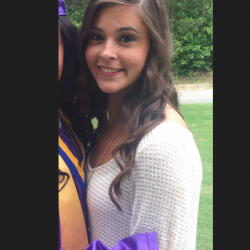 This blog is to help me remember all the great books I want to have in my future classroom! I had the opportunity to read this adorable and fun book in today's class session and I am so glad because I absolutely loved it! I thought it was neat how it included many other characters throughout the story from other famous children's book such as: Humpy Dumpy, Red Ridinghood, Three Little Pigs, Gingerbread boy, etc. In this book, B.B. 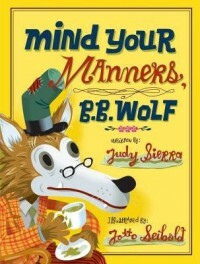 Wolf was attending a tea party, where he was told to use proper manners. Some of the manners he learned was to say "please," "thank you," and "excuse me." I think it would be a fun read aloud in a 1st or 2nd grade classroom. Illustrations were amazing as well. Overall, it is a wonderful book! This is another book I had never heard of until one of our class sessions for Ed 446. We were informed that this is a great vocabulary book and we all got the opportunity to look through the book. Once I took a look, I knew I wanted to add it to my book likes shelf! Scholastic's website said this book is about a 4.7 grade level and I would definitely use it for vocabulary help in the classroom! This is another books I really see the girls in my future classroom loving! These book are probably most appropriate for a 4th grade classroom. This would be a book I would just have in my classroom library and have them read it for pleasure. These books are also movies that I could inform the class about. Very very cute stories! Who doesn't love a classic Junie B. Jones book? I know there has been lots of controversy lately on whether these books should be allowed in the classroom or not. I think they should be. 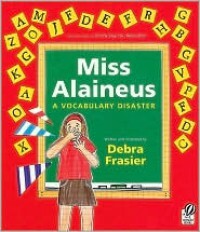 I grew up reading these books and feel as though they had no effect on my spelling or grammar. I would implement these books in a 3rd grade classroom. I would have these for strictly a pleasure read or possibly even take a chapter of one of these books, have the students read it, and then have them go back through and fix all the grammar problems. 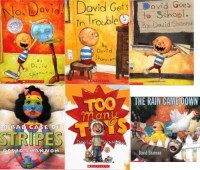 These books are too funny not to love! 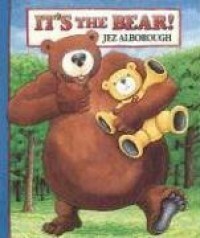 I always loved this book as a child! I remember getting my mom to read it to me constantly because she would always do different voices so it made it fun for me. I would love to read it aloud to my future classroom and use different voices for the characters just like my mom did for me. I feel as though this book is around a 2nd-3rd grade level. I think it would be fun after reading this book for the students to come up with an alternate ending. Then, get everyone to share their endings. Little Bear has always been my number one favorite character!! He always felt like a friend to me when I was little. So, having some Little Bear books in my classroom is just an absolute must! These books would be a great introduction to chapter books for around 2nd grade. They use simple language, big print/font, and also pictures on some pages. I had never heard of this book before until I saw it during one of our class meetings at one of our stations! I think it is super super cute!! It is a book on homophones and as soon as I started reading it I knew I wanted to add it to my bookshelf. 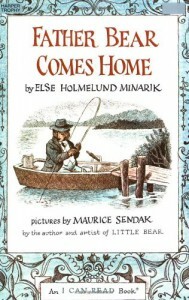 It is a funny book while at the same time, it helps students learn more about homophones. Fun and educational..what could be better? 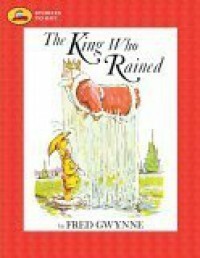 I think it would be fun for my students to come up with their own homophone and draw a picture to go along just like this book does. 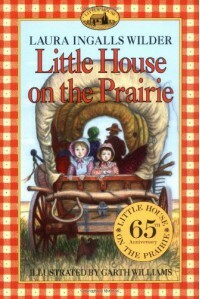 I think these are such great books to just have in a classroom library for pleasure reading, but it's neat because it also incorporates history and reveals to students about the Midwest, life living in a log cabin, driving covered wagons, etc. I feel like this would be a big hit with the girls in the class. Loved this book!! So glad Mrs. Gilmore introduced us to this awesome book full of nouns! Really cute illustrations and potential for a lot of classroom uses/activities. 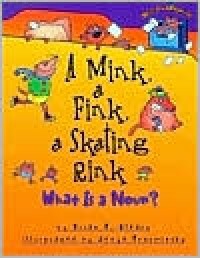 One I think would be fun is after reviewing what a noun is, read this book, and tell the class to either stand up every time they hear a noun, raise their hand, or tally and just have a lot of fun competition. Who doesn't love Dr. Seuss? I plan to have multiple of his books in my classroom. 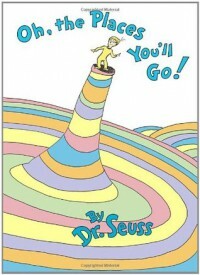 This one is such an encouraging and even motivational book for any age. I think it would be a cute idea to read this at the end of the school year to the class. Another activity that would be fun is after reading this, to create a board titled "Oh, the Places You'll Go," and get the students to fill out on a balloon where they want to go, their goals, etc. David Shannon books are all wonderful. My favorite out of his collection would have to be "A Bad Case of the Stripes." I love the creative illustrations and humor behind it. I could use this book in a classroom by teaching students that it's okay to be different than their peers/classmates. In this book, Camilla is worried what other people will think if they find out she likes lima beans. So she tries to fit in, and ends up turning all kinds of different colors and prints. After reading this book to the class, an activity I could possibly do would be for each student to draw a big picture of themselves and decorate it with their own colors/print just like Camilla. I have never read this book, but this week at ARI training, it was really recommended and we were given some really good ideas of classroom use. This book is about a boy who is fascinated by words, seems to find them everywhere he goes/looks, and collects them in a jar. I think it would be fun to have an actual clear, plastic jar in the classroom and whenever we are reading and come across a really cool, new word, add it to the jar throughout the year. Then, at the end of the year go through all the words we add. It would be a good incentive for students to really read and listen to stories we read to be able to find words, write them on a paper strip, and be able to add them to our classroom word jar! 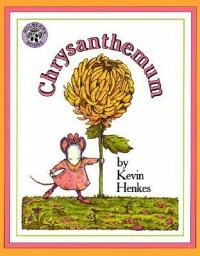 This is another great book written by the same author as the book I blogged on earlier, Chrysanthemum. I love the little mouse illustrations this author uses and the humor is so great. This book teaches a lesson on classroom behavior. I feel as though it would be beneficial to read this book towards the beginning of the year when teaching the class procedures and how to respect teachers and classmates. 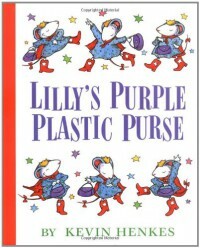 Lilly has to learn respect and this book could help teach a classroom in a light humorous way those same lessons. Love this one!! This is a book that was also made into an awesome movie. 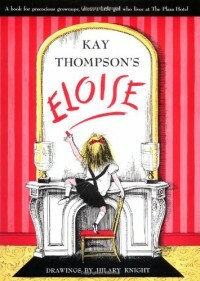 It's about a young girl named Matilda who has a hard time at home dealing with her parents and not really feeling loved. She goes to school so excited expecting it to be THE best experience…that is until she meets the mean principal Miss Trunchbull. However, she has an amazing teacher Miss Honey who just adores her and really cares about her. I always aspire to be a teacher like Miss Honey was to Matilda. This 4th grade level book could be used in a lot of writing assignments in the classroom. 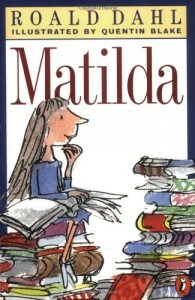 For example: Since Matilda loves to read, I could get my class to write on their favorite book, a review on this one, and I would also love to let my class watch the movie after we read the book so we could compare and contrast. So many options with this book. 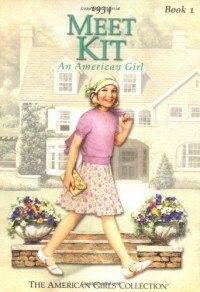 This is one of the many American Girl doll books. These are very girly books that I would just love to have in my classroom library. They go with each of the very popular dolls and it's neat to have one of these dolls and then be able to read "their story." They are all educational as well because each one of these books talks about things in history. In this particular book, Kit lives in the 1920's and it talks about the Great Depression. It's a chapter book so I would say it would be on the upper 3rd grade-4th grade level. I have a lot of these dolls and I could possibly bring the actual doll in for the girls to read with while reading these. This is another one of my favorites! It's about a cute little mouse named Chrysanthemum who gets fun of by her classmates because she is named after a flower. The class picks on her until they find out their super awesome teacher is named after a flower as well. I love the illustrations and the story behind it. This story lists out different types of flower names so it could help teach students about the flowers, as well as to not make fun of people whether it be their name or the way the look, etc. Could be a good beginning of the year book. 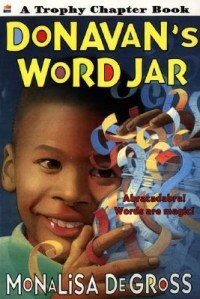 I looked it up and this book is said to be on the 2nd grade level.